All Gift Vouchers sent to your email in pdf within max a few hours. 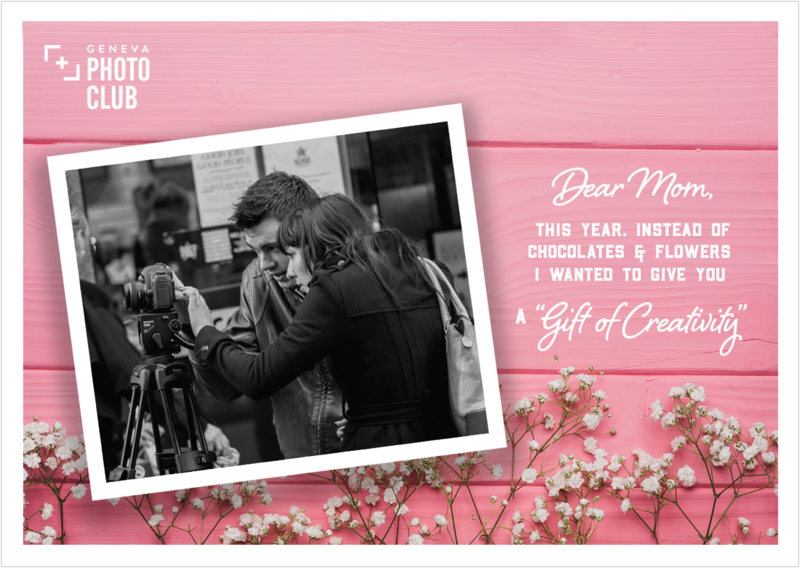 Our Geneva Photo Club Vouchers are perfect presents to celebrate any special day. You can choose one of these 4 Gift Vouchers or if you have a specific amount to give as a gift, send us an email and we’ll get back to you within 1 day. We have prepared a very special gift for the upcoming Mother’s Day. Our new exclusively designed voucher is the perfect gift to show her your gratitude. Choose your voucher and it will be delivered to your inbox in few hours. Let your mum express her creativity with our 5 star rated trainings. Because mums love to “create the best”! What happens after I buy the gift voucher? You should receive the gift voucher within one day in your email in pdf format (generally much faster). If it’s very urgent, please contact us. What happens if there is a change in the price of the course of the gift voucher? If there is change of price in the type of course of your gift voucher, the value of your gift voucher will change accordingly. So your gift voucher will remain valid regardless of any price change. How do I use my Gift Voucher code? You should enter the code on your voucher at the final payment screen of the registration process. It will count as payment. Absolutely. Just choose your course as normal and enter your code in the checkout. This will get you a reduction in the price equivalent to the value of your gift voucher. Then you can pay the difference in whichever method you prefer.